The All New, All Daring Delusional Honesty! 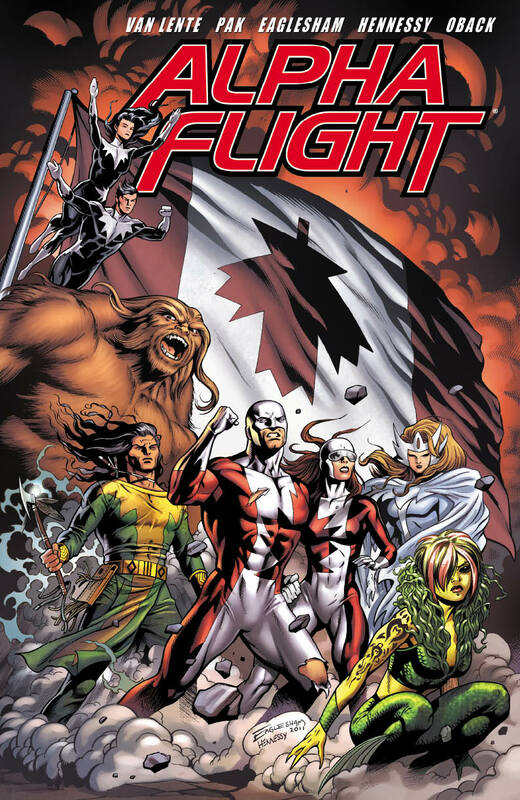 : Alpha Flight: They're Ba-ack! I have fond, and somewhat peculiar affection for Alpha Flight, possibly because it was one of the few books I was able to get in on the ground floor of when I was young and first started reading comics . . .
. . .and it was the first comic I saw utterly implode right in front of me. Seriously, that later Mantlo era is just . . .wow, it's kind of . . .not good, but in an entertaining Troll 2 kind of way because it was so misbegotten. Apparently the editors wanted it to be the equivalent of a Marvel Vertigo book, which somehow led to Mantlo trying to write like Grant Morrison and it was so gloriously mad that it was like comics had ate their own tail or something. I haven't followed it past the second volume--which I think was Steve Seagle and Scott Clark, and while I was intrigued by it, I think there was ultimately one conspiracy subplot too many and it just got way too deranged. I didn't ever read the last 2 launches, but I'm kinda intrigued by this the previews for this one and I may end up picking it up. From what I've seen, the new relaunch is definitely worth picking up on the strength of the pedigree alone. And wow, mentioning Mantlo's run in the same sentence as Morrison? More audacious than I, sir. (Interesting, too, since I don't believe Morrison was really writing mainstream US comics until '88?) Still, point taken, even if the suggestion is an insult to Morrison's own prodigious talent. Yeah, the previews really make it seem like it might be fun but actiony and barring Lobdell's attempt in the last decade, it's not been easy to say that of AF . . .well, for most of my life, really. Oh, I have great reason to draw the Morrison/Mantlo comparison, tho--in the post #50s, somewhere around the Dreamqueen stuff, he did a riff on Grant Morrison's "the writer is an active participant in the book" stuff from Animal Man in a story that he apparently just had to call "Killing Me Softly With His Word Processor." I had a copy for many years, and let me tell ya, it is exactly what you would imagine Bill Mantlo covering Grant Morrison would look like. 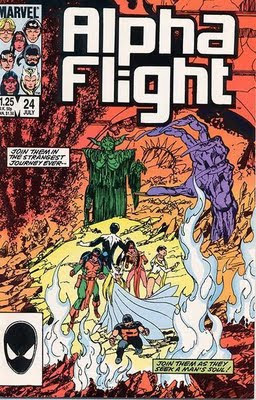 Killing my softly.... was the last issue of Alpha Flight Mantlo ever wrote. Unless comic book database is mistaken. I have not read the issue myself. Have you? I'm looking forward to the new Alpha Flight series so much I became a mod on Dale Eaglesham's new message board! Most of the creators of the new series chat there, would love to see you there! 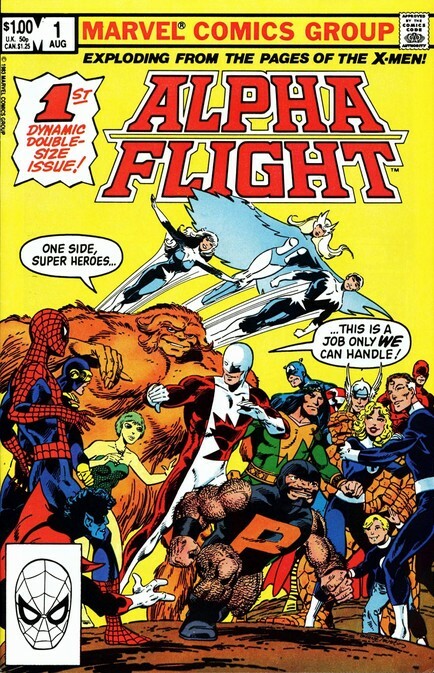 Kazesage's observation that ALPHA FLIGHT "was the first comic I saw uttterly implode right in front of me" sums up exactly how I felt. As far as the MANTLO era, I can only hope that it is an alternate time-line that can be forgotten. The inconsistencies within the Mantlo storylines by themselves should be enough of a reason to at least consider it; the contradictions to what was established almost demands it.